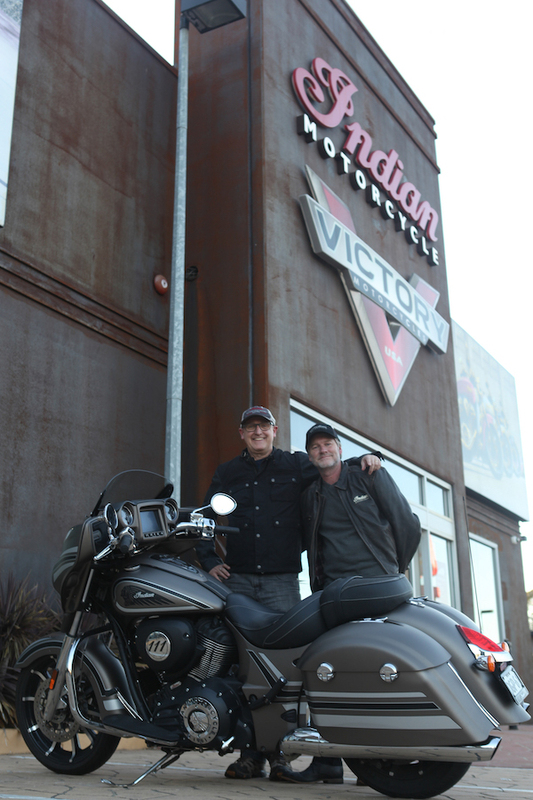 Indian Motorcycles Australia are proudly providing The Ingenious Oz Project’s Nigel Collin and Brad Foster with a 2018 Chieftain and 2018 Roadmaster for a 10 day road trip (October 5-15) from Alice Springs to Darwin in search of “ingenious” Australian businesses and people. The author and journalist have been commissioned by Tourism NT’s Department of Trade, Business and Innovation to discover and share stories of ingenious Australian businesses and community-based organisations. With a limited budget for the trip, Nigel and Brad approached Indian Motorcycles Australia, recognising the synergies of what they were doing with the history of the Indian Motorcycle Group. “Indian have been trailblazers in the motorcycling world for more than 100 years with such a strong brand that has seen them through the tough times,” Nigel says. “Today they’re at the cutting edge of motorcycle technology, and they do that by keeping one eye on the past and the other on the future. Partnering with Hipnotic Media, this NT leg will result in a video series for Tourism NT as well as imagery for Indian Motorcycles Australia’s social media channels showcasing the motorcycles in some fairly harsh environments. “Of course this trip won’t be all hard work. We’ll also be looking for the best outback beers and pies we can find,” Nigel adds. Their stretch goal is to create a complete series – 100 ideas in 100 days – travelling the length and breadth of Australia in search of ingenious ideas.